Ratcliffe, B. (2003). The Dynastine Scarab Beetles of Costa Rica and Panama (Coleoptera: Scarabaeidae: Dynastinae), Bulletin of the University of Nebraska State Museum, Volume 16. The 157 species of dynastine scarab beetles that occur in Costa Rica and Panama are comprehensively reviewed. 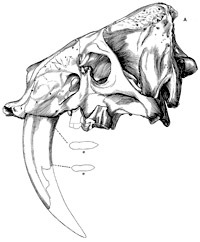 Keys, descriptions, distributions, and notes on biology are provided for all species as well as illustrations and maps. The larvae of Enema endymion, Heterogomphus chevrolati, and Dynastes hercules are described for the first time. Also included are synopses of the higher-level taxa, a glossary, a gazetteer of place names, and a species checklist. The following new species are described: Cyclocephala alazona, C. enigma, C. labidion, C. marylizae, C. mustacha, C. stockwelli, C. una mas (all Cyclocephalini); Irazua dilicra (Oryctini); Amblyoproctus centroamericanus, Hemiphileurus curoei, H. dyscritus, H. nebulohylaeus, H. pygidiopunctissimus (all Phileurini); Golofa hirsuta and G. solisi (Dynastini). Irazua is described as a new genus of Oryctini. The following new synonyms are recognized: Cyclocephala dissimulata Ratcliffe (= C. almitana Dechambre), C. howdeni Endrodi (= C. carbonaria Arrow), C. obscurata Endrodi (= C. castaniella Bates), C. conspicua gregaroides Dechambre and C. conspicua fusca Dechambre (= C. conspicua Sharp), C. mollis Endrodi (= C. epistomalis Bates), C. barroensis Endrodi (= C. herteli Endrodi), C. rorschachoides Ratcliffe (= C. krombeini Endrodi), C. pseudisabellina Endrodi (= C. mutata Harold), C. vitracelis Dechambre (= C. mutata Harold), Stenocrates difficilis Endrodi (= S. bicarinatus Robinson) (Cyclocephalini); Hemiphileurus variolosus striatus Endrodi (= H. variolosus [Burmeister]) (Phileurini); and Aegopsis westwoodi Thomson (= A. curvicornis Burmeister) (Agaocephalini). The following names reflect a change in status because all are resurrected from synonymy: Cyclocephala brevis Hohne, C. multiplex Casey, C. mutata Harold, and C. ovulum Bates (Cyclocephalini). The following names are combinations resulting from a change in genus from Ligyrus to Tomarus: Tomarus bituberculatus (Palisot de Beauvois), T. cicatricosus (Prell), T. ebenus (DeGeer), T. fossor (Latreille), T. gyas Erichson, T.laevicollis (Bates), T. maternus (Prell), T. nasutus (Burmeister), T. sallaei (Bates), and T. similis (Endradi). Lectotype and paralectotype designations are made for the syntypes of Hemiphileurus cylindroides (Bates). The generic name Enema is designated a nomen protectum, and the generic name Hoplites is designated a nomen oblitum. The following Cyclocephalini are reported for the first time from Costa Rica: Ancognatha atacazo Kirsch, A. vexans Ratcliffe, Aspidolea kuntzeni Hahne, A. notaticollis Hahne, C. erotylina Arrow, C. fasciolata Bates, C. ligyrina Bates, C. prolongata Arrow, Erioscelis columbica Endradi, Stenocrates bicarinatus Robinson, S. hardyi Dechambre, and S. laevicollis Kirsch. The following Cyclocephalini are reported for the first time from Panama: Cyclocephala epistomalis Bates and C. rogezi Dechambre. The following species have been reported from Costa Rica and/or Panama, but since they have never been collected since being reported, or they are so far out of their normal range, I consider the records to be erroneous, spurious, or otherwise suspect: Cyclocephala cartwrighti Endradi, C. freudi Endradi, C. gregaria Heyne and Taschenberg, C. laminata Burmeister, C. lurida coahuilae Bates, C. obesa Burmeister, C. simulatrix Hahne, C. tutilina Burmeister, and C. warneri Ratcliffe. The following Pentodontini are reported for the first time from Costa Rica: Euetheola bidentata Burmeister, Tomarus cicatricosus (Prell), T. laevicollis (Bates), and T. maternus (Prell). The following Oryctini are reported for the first time from Costa Rica: Enema pan (Fabr.) and Xyloryctes splendidus Prell. The following Phileurini are reported for the first time from Costa Rica: Amblyodus taurus Westwood and Hemiphileurus dejeani (Bates). The following Agaocephalini are reported for the first time from Costa Rica: Aegopsis curvicornis Burmeister and Spodistes beltianus (Bates). The following Dynastini is reported for the first time from Costa Rica: Golofa tersander Burmeister. Resumen. Se realizó una revisión comprehensiva de las 157 especies de escarabajos dinastinos que ocurren en Costa Rica y Panama. Se prove en claves, descripciones, distribuciones y notas sobre la biologia de todas las especies, tambien se presentan ilustraciones y mapas. Las larvas de Enema endymion, Heterogomphus chevrolati, y de Dynastes hercules son descritas por primera vez. Ademas, se incluyen sinópsis de los taxa de niveles superiores, un glosario, un gazetteer de las localidades y un listado de especies. Se describen las siguientes especies nuevas: Cyclocephala alazona, C. enigma, C. labidion, C. marylizae, C. mustacha, C. stockwelli, C. unamas (todas Cyclocephalini); Irazua dilicra (Oryctini); Amblyoproctus centroamericanus, Hemiphileurus curoei, H. dyscritus, H. nebulohylaeus, H. pygidiopunctissimus (todas Phileurini); Golofa hirsuta y G. solisi (Dynastini). Irazua es descrito como un genero nuevo de Oryctini. Se reconocen los siguientes sinónimos: Cyclocephala dissimulata Ratcliffe (= C. almitana Dechambre), C. howdeni Endrodi (= C. carbonaria Arrow), C. obscurata Endrodi (= C. castaniella Bates), C. conspicua gregaroides Dechambre y C. conspicua fusca Dechambre (= C. conspicua Sharp), C. moll is Endrodi (= C. epistomalis Bates), C. barroensis Endrodi (= C. herteli Endrodi), C. rorschachoides Ratcliffe (= C. krombeini Endrodi), C. pseudisabellina Endrodi (= C. mutata Harold), C. vitracelis Dechambre (= C. mutata Harold), Stenocrates difficilis Endrodi (= S. bicarinatus Robinson) (Cyclocephalini), Hemiphileurus variolosus striatus Endrodi (= H. variolosus [Burmeister)) (Phileurini), y Aegopsis westwoodi Thomson (= A. curvicornis Burmeister) (Agaocephalini). Los siguientes nombres reflejan un cambio de estatus debido a que todos han sido resucitados de la sinonimia: Cyclocephala brevis Hohne, C. multiplex Casey, C. mutata Harold, y C. ovulum Bates (Cyclocephalini). Los siguientes nombres son combinaciones como resultado del cambio de genero, de Ligyrus a Tomarus: Tomarus bituberculatus (Palisot de Beauvois), T. cicatricosus (Prell), T. eben us (DeGeer), T. fossor (Latreille), T. gyas Erichson, T. laevicollis (Bates), T. maternus (Prell), T. nasutus (Burmeister), T. sallaei (Bates) y T. similis (Endrodi). Se hacen designaciones de lectotipo y paralectotipo para los sintipos de Hemiphileurus cylindroides (Bates). El nombre generico Enema es designado como nomen protectum, y el nombre generico Hoplites es designado como nomen oblitum. Los siguientes Cyclocephalini se reportan por primera vez para Costa Rica: Ancognatha atacazo Kirsch, A. vexans Ratcliffe, Aspidolea kuntzeni Hohne, A. notaticollis Hohne, C. erotylina Arrow, C. fasciolata Bates, C. ligyrina Bates, C. prolongata Arrow, Erioscelis columbica Endrodi, Stenocrates bicarinatus Robinson, S. hardyi Dechambre y S.laevicollis Kirsch. Los siguientes Cyclocephalini se reportan por primera vez para Panama: Cyclocephala epistomalis Bates y C. rogezi Dechambre. Las siguientes especies han sido report ad as para Costa Rica 0 Panama pero no han sido colectas desde entonces, 0 se encuentran tan alejadas de sus rango de distribución que los considero registros erróneous 0 de alglin modo sospechosos: Cyclocephala cartwrighti Endrodi, C. freudi Endrodi, C. gregaria Heyne y Taschenberg, C. laminata Burmeister, C. lurida coahuilae Bates, C. obesa Burmeister, C. simulatrix Hohne, C. tutilina Burmeister, y C. warneri Ratcliffe. Los siguientes Pentodontini se report an por primera vez para Costa Rica: Euetheola bidentata Burmeister, Tomarus cicatricosus (Prell), T. laevicollis (Bates) y T. maternus (Prell). Los siguientes Oryctini se reportan por primera vez para Costa Rica: Enema pan (Fabr.) y Xyloryctes splendens Prell. Los siguientes Phileurini se reportan por primera vez para Costa Rica: Amblyodus taurus Westwood y Hemiphileurus dejeani (Bates). Los siguientes Agaocephalini se reportan por primera vez para Costa Rica: Aegopsis curvicornis Burmeister y Spodistes beltianus (Bates). El siguiente Dynastini se reporta por primera vez para Costa Rica: Golofa tersander Burmeister.